The cloud craft is a cloud printed on the base paper, or you can have the kids draw their own cloud on the base paper. Then you have to glue cotton balls onto the cloud. 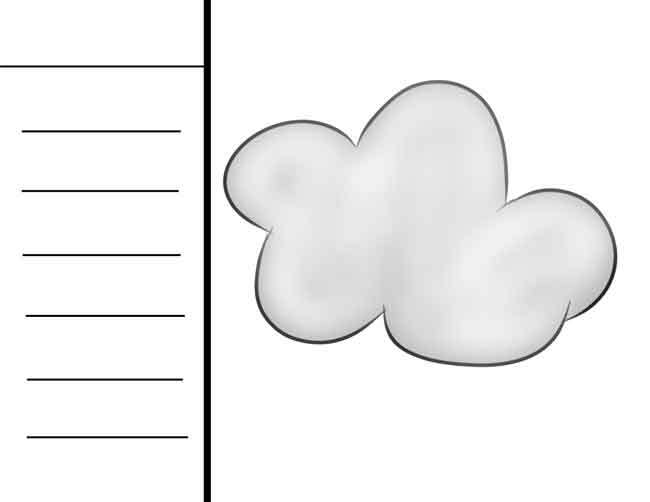 You can use the lines to the side to write about clouds.